Cambodia - WT and the Asia Development Foundation (ADF) delivered a taekwondo development fund and university student scholarships to Hang Chuon Naron, minister of Cambodia education, youth and sport, in a ceremony at the Education Ministry in Phnom Penh, Cambodia on March 9, 2019. 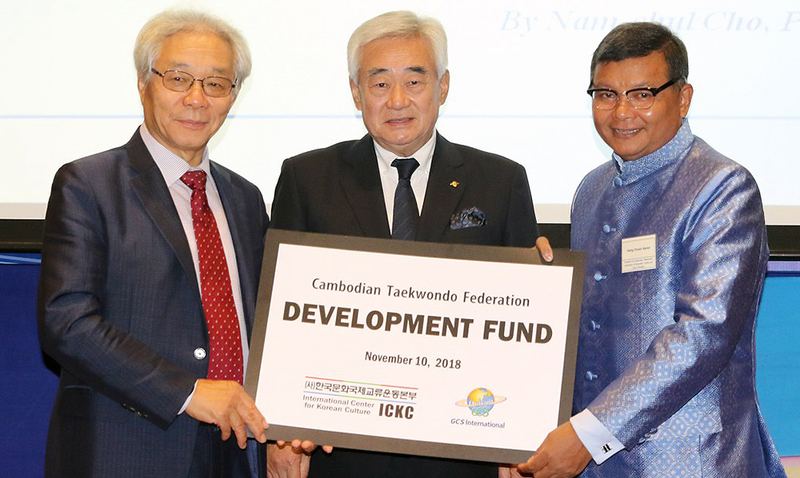 Cambodia - WT President Chungwon Choue delivered a 'taekwondo development fund' to Hang Chuon Naron, president of the Cambodian Taekwondo Federation in a ceremony in Phnom Penh, Cambodia on Nov. 10, 2018. Dr. Hang also serves as minister of education, youth and sport. Cambodia - Ahead of hosting the SEA Games the country's Olympic Committee leader is trying to develop more elite female athletes. 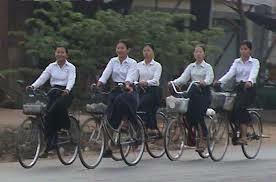 This means vaulting a culture barrier that currently keeps many parents from allowing their daughters to play sports.